Only yawning...but the teeth are impressive and this guy wasn't shy about jumping on my back and unzipping my backpack. Imagine if I really annoyed or upset him? I visited a travel doctor prior to taking a trip to Bali almost a year ago. Because I knew I'd be around animals I requested a rabies vaccination, but was told at the time it was too close to the time of departure. The doctor rang back an hour later and clarified that no, actually it would have been fine, but by that stage couldn't fit me in before my date of departure. That short break was full of potentially microbiologically significant moments. Like unplanned interaction with monkeys who all popped out of the crater of a volcano when my colleague and I climbed up. They knew we'd have food and weren't shy about frisking us to find it. But they've also been reported to carry rabies. 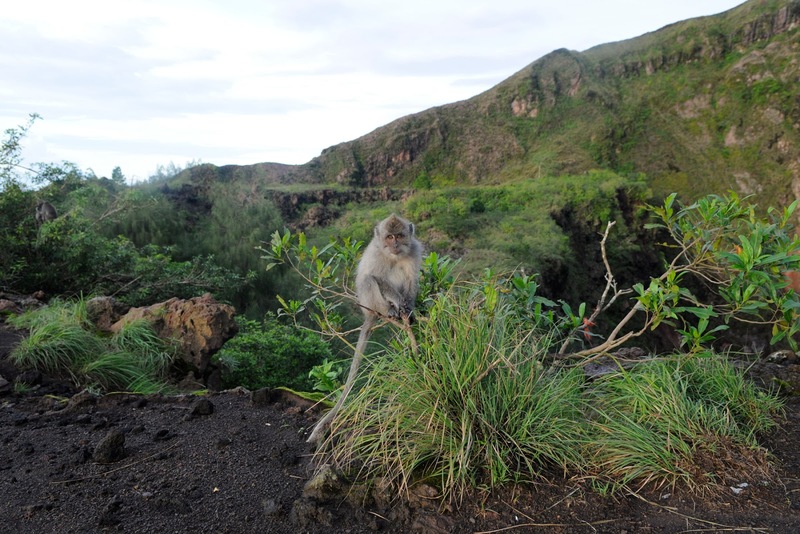 A monkey sits on the edge of a volcano crater. They can (note can, not necessarily do) carry rabies, which is one of the most frightening viruses on the planet. 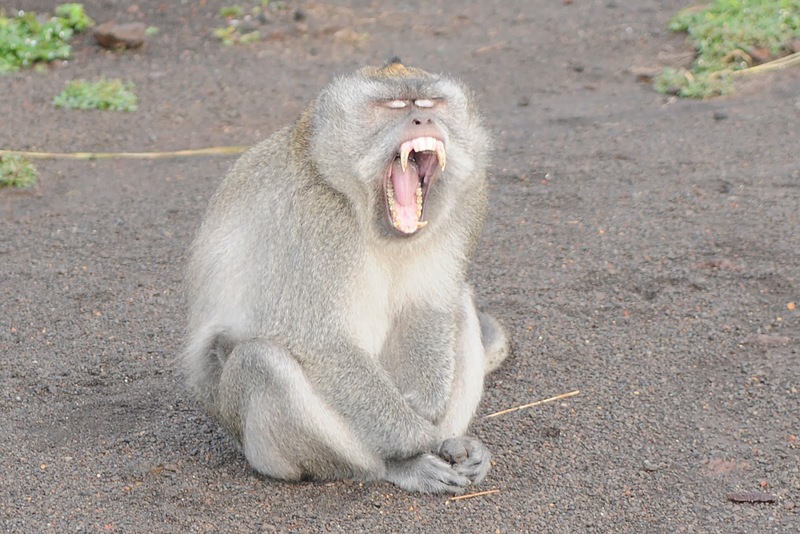 According to blogger Scott Weese, the reason so few travellers recieve rabies vaccination is needle aversion, followed by a lack of awareness. I'm not the bravest soul, but I would like to point out that avoiding a rabies shot due to needle aversion is chasing a false economy. If you do get bitten by a potentially rabid animal, you will need a LOT more needles. And if you are one of the unlucky 55,000 who contract rabies every year, you will have a lot more needles...and then die. I do appreciate that phobias can't simply be dismissed, and they are seriously debilitating. That is why if you have a needle phobia and need a rabies shot, you need to chat to an understanding doctor who might be able to offer some additional support. In other infectious disease news, the first "bug breakfast" of 2014 is themed around avian influenza. Just because the mass media have stopped talking about it doesn't mean its off the agenda - far from it. The breakfast is held on February 7 from 8.15-9.30. For registrations email Lisa Ayre. A few weeks later there is a collective brainstorm about anticipating infectious disease threats being held on February 27 at Sydney University. Students, basic scientists, researchers and health practitioners are invited. For more info head here.